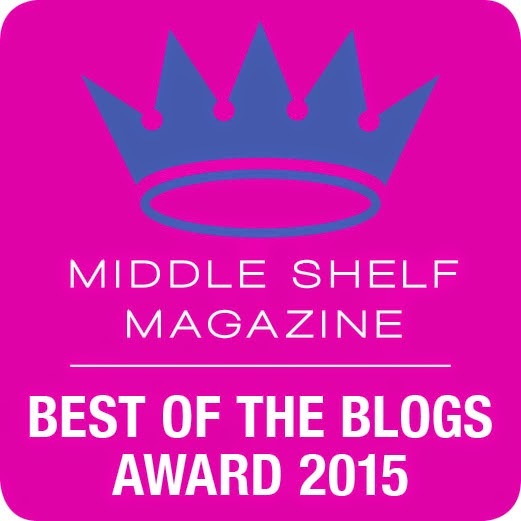 FTC Disclosure: Prize sponsored by publisher. No compensation was received. 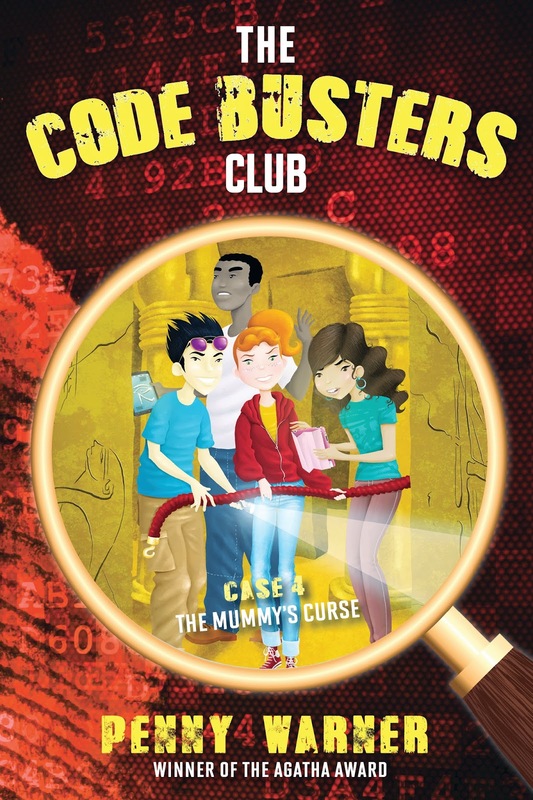 I have teamed up with Egmont Publishers to offer one of my lucky readers The Code Buster Series of 3 paperback books and one hardback. Please use Rafflecopter form to enter. By entering, you acknowledge you have read the terms on the form and agree to them. Contest ends 11/3/2014 at 11:59 EST. I love author interviews. It gives me a chance to share the faces and personality behind the names on book covers. 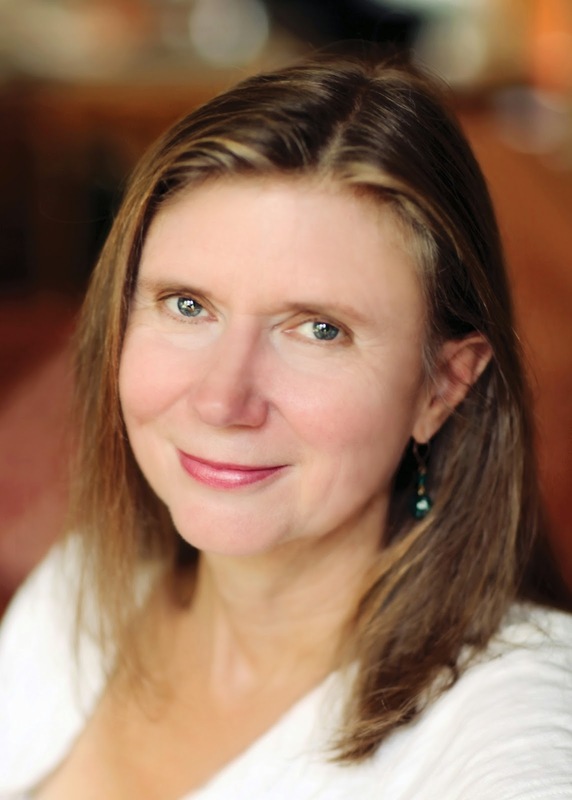 Amy Herrick is a graduate of the Iowa Writers’ Workshop. Every morning, she and her dog take a long walk in Prospect Park in Brooklyn, New York, looking for adventure. They’ve seen and heard many wondrous things there, some of which have served as inspiration for this story. The Time Fetch is her first book for young readers. 1. 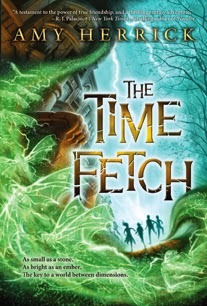 The Time Fetch is your first book for young readers. What inspired you to write for children? AH: Learning to read is kind of like learning to ride a bike. It’s a very wobbly business at first and there’s a lot of different skills you have to bring together to make it work. In the beginning you’re very klutzy and you’re focusing with all your might and then all of a sudden----Presto! Alacazam! It clicks! You’re doing it! That time of your reading life, when you first take off and you’re free and you’re flying and nobody is holding on, is the golden time, the glorious time. It is the time when you first realize all the treasures that reading can hold—that it can entertain you, that it can allow you to travel through space and time, that you can get yourself terrified without having to actually put yourself in danger, that it can give you the power to see inside of other people’s heads.At this age, when you love a book, it takes you over completely. It sears itself on your memory and you carry it with you for the rest of your life.Imagine writing a book that someone would experience in that way. I thought I’d give it a shot! AH: Edward was the first character I created. In the beginning, he was the only one. He was inspiredby my older son, who was pretty lazy as a kid and still who tends to be in his head a lot, trying to figure out the true nature of reality.Then Feenix showed up because I felt that Edward needed a nemesis. In the beginning she was much nastier than she ended up being. I wanted someone who was all fire and restlessness and always in trouble and she was based largely on my younger son who is a wild thing and who spent most of his middle school and high school years in detention. Danton came in a side door and I wasn’t expecting him to be so important, but I realized that if Edward needed a nemesis, he also needed a sidekick who could center him and the reader, and who represented a more balanced, natural way of being in the world. Brigit arrived, I think, because I wanted the symmetryy of two boys and two girls. Her shyness is based largely on my own early, always blushing years. 3. Speaking of the writing process, how long did it take to write The Time Fetch and what part of writing takes the longest. AH: It took me a long time to write this book. I worked on it over several years. I wrote a complete draft, which I ended up scrapping because it felt too lightweight to me. The hardest part for me is always the first part, the getting a story off the ground—like a kite. The kite has to have the right shape and weight and tail and then you’ve got to get lucky with the weather and the wind. Once you’ve got it up there, it gets easier and easier to just let the string out. 4. What is the most important message from your novel you would like readers to grasp? 5. Tell us what it is like to see the final cover of your novel and see it in print? AH: Doesn’t matter if you’re four years old or ninety-four, it’s always gratifying to have other people react with thought and care to something you’ve made. When you feel like an illustrator and a designer have created a cover that really catches the heart of what you’ve tried to do, it’s hard tostop thanking your lucky stars and kissing strangers on the street. That’s the way I felt when I first saw this book with its cover on. 6. Who are some of the children's book authors you look up to? 7. What advice would you give to young readers who dream of becoming writers someday? AH: Read a lot. Keep a journal. Ask other people for their stories (especially the old folks!) and write the good ones down in your journal. Be brave! AH; Since so many people have asked me if I was planning a sequel and since I feel I’m not quite ready to let go of Feenix, Danton, Brigit and Dweebo, I’ve decided to give it a try. The Time Fetchwas a winter solstice tale, so this next one will be a companion story that takes place at the summer solstice. Check out my review on The Time Fetch. Check out what others have to say about the BZRK Apocalypse series and enter to win a paperback copy of the first two books and a hardcover of the third book. 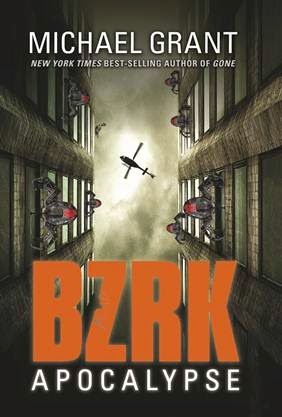 One of my lucky readers will win the BZRK Apocalypse three book series with a paperback copy of the first two books and a hardback copy of the third book. Giveaway ends 10/27/2014 at 11:59 EST. Use the Rafflecopter form to enter. By entering, you acknowledge you have read the terms on the form and agree to them. **FTC Disclosure: This giveaway is sponsored by the publisher. No monetary or product compensation received for post. Racial tensions and cold war hysteria fill the town of Cullman, Alabama. 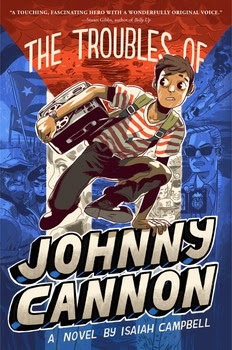 It's 1961 and twelve-year-old Johnny Cannon finds himself smack in the middle of the the town's troubles. Johnny's problems go from bad to worse when his older brother goes off on a secret mission, leaving him in charge of his ailing Pa. Johnny befriends the African-American pastor's son, Willie, drawing ire of the Klu Klux Klan and if that is not enough, his father's antics in their backyard shed and his secret radio station bring more unwanted attention from the CIA. Though Johhny would rather be hunting, he ends up face to face with Fidel Castro and embroiled in the Bay of Pigs Invasion. Though the story grows increasing more implausible, Johnny's lessons about friendship and the true meaning of family add heart to an already strong character. Well developed characters and Johnny's original voice make for a fun adventure that will leave the reader with troubles of his own while hiding under the covers with a flashlight after bedtime to discover the fate of his new hero.